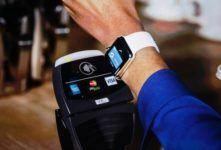 One of the most popular mobile payment solutions and mobile wallets in the world, LoopPay, allows users to pay by smart device virtually everywhere. Its patented Magnetic Secure Transmission (MST™) technology allows smartphones to work with existing debit and credit card readers in store without any special symbols or equipment. LoopPay is easy, secure, and fast. Users just hold their LooPay enabled smartphone or device against where they swipe a credit card. Next, they press a button on the Loop Pay device to pay instantly. Users may also open the LoopPay app and select a different card to make a payment. LooPay can store and pay with all bank cards, and thousands of mag stripe credit or debit cards. Users can also use loyalty or private label gift cards, including Macy’s, Starbucks, Target, and Walmart. You can load practically any card and even IDs like a driver’s license, medical ID card, and backup LoopPay card. LoopPay technology is the only technology that works virtually everywhere, with millions of merchants using it throughout the world. It encrypts the card data, and locks them with the user’s own PIN and password. The encrypted data and each LoopPay device are bound to the user’s account, and only accessible by this user. Even if the LoopPay device is stolen, the security algorithm and the chip used to store the cards will prevent unauthorized access. LoopPay works on all iPhones starting with the iPhone 4, as well as on Android mobile phones. To Use LoopPay, users must download the free LoopPay app and setup their account. 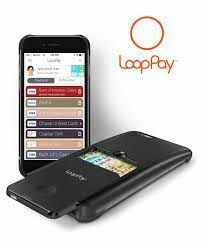 You may order a LoopPay device from www.LoopPay.com or from within the app. Once the user receives your LoopPay device, he or she must setups the account so only the authorized person can swipe in the cards with the LoopPay reader. Loop Pay is an innovative and futuristic technology, and is the best and safest way on the market to pay with a credit card. Snapping onto the smartphone like any other cover, Card Case also sports a storage compartment for an ID and backup Loop Pay card. 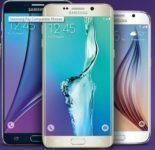 iGotOffer.com: the best place to sell your used iPhone online for the top cash. Free quote and free shipping. BBB A+ rated business.